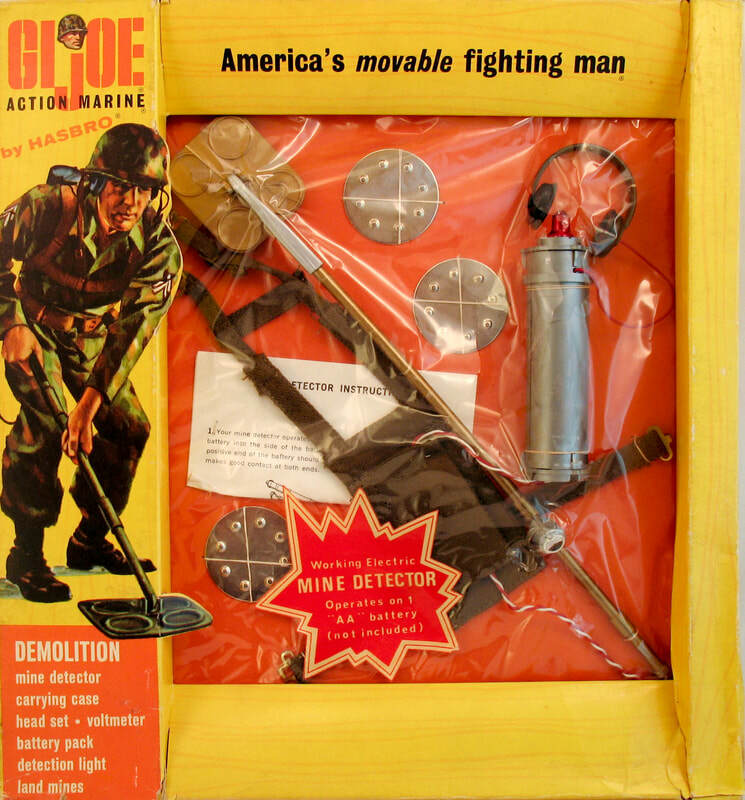 The Demolition set (7730) features a working battery operated mine detector. When the rings on the detector's plate contact one of the three provided metal mines the signal on the backpack lights up. Bulbs for the set are generally red, though I know of at least one set with a blue bulb. The 1966 window box set, above. The red shell burst sticker is often missing on these window boxes. The set was reissued in a rare 1968 photo box, below. Photo box image courtesy Sympathy for the Devil, a New England collector.